Has the economy bounced back from the recession? The financial crisis of 2007-2009 struck like a hurricane, closing businesses and sending the unemployment rate soaring. The national unemployment rate reached a peak of 10 percent, 250,000 private sector businesses closed and job openings decreased by 44 percent, according to the U.S. Bureau of Labor Statistics. The years since have been more forgiving, but many companies have been partial to exercising extreme caution, making fewer risky investments and keeping tight purse strings in case another economy catastrophe occurs. That's a healthy strategy to use in some circumstances and less in others. The trick is to know how well off the economy is now - how much risk is really out there. Some industry research shows many businesses have officially weathered the storm of the recession and its aftereffects, as the economy has recovered to pre-recession levels in many regards, but that's not always the whole story. Here are some stats that show the good news and the bad. Consumer optimism is everything to the economy. It shows how willingly potential customers spend money and essentially demonstrates how likely they'll visit your business in the future. According to the the University of Michigan, consumer sentiment climbed to a high point of 95.9 - increasing 14 percent over last month. This is particularly optimistic news because it's the second highest level recorded in over eight years, according to Bloomberg. "Americans believe inflation will increase at a rate of 2.5% in the next year." Inflation plays a huge role in the strength of the economy and the confidence of consumers as well. Even if predictions are inaccurate, the public perception of inflation rates today will affect buying habits tomorrow. And what Americans believe now is that inflation will only increase at a rate of 2.5 percent in the next year, Bloomberg reported. The March unemployment report from the BLS showed that the national unemployment rate has plummeted to 5.5 percent, down from 6.6 percent last year at the same time and 7.5 percent in 2013. The last time the unemployment rate was this low was between May and June in 2008. Moreover, the unemployment rate has been trending downward almost constantly since hitting the 10 percent high point in 2009. With that in mind, it's reasonable to conclude the trend will continue, and an unemployment rate below 4.4 percent would be the lowest recorded in over a decade. Don't be misled by the national unemployment rate statistics. 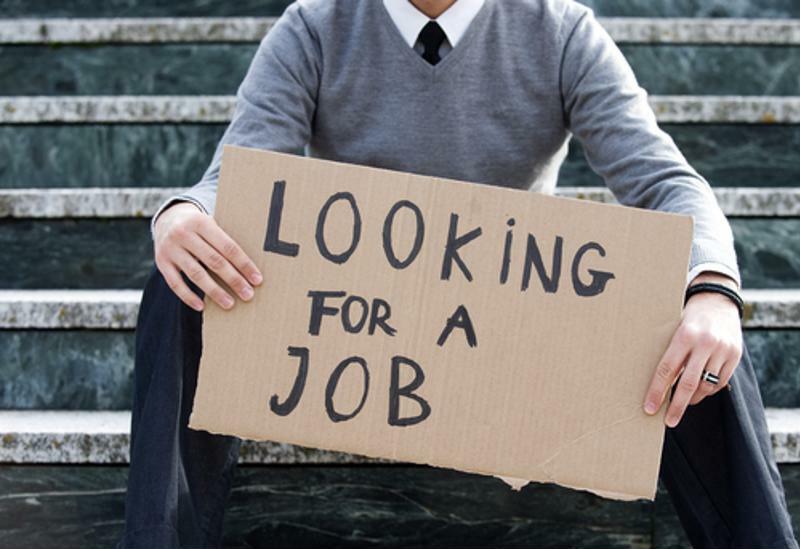 The Economic Policy Institute reported in 2014 that most of the decreases in the unemployment rate were being fueled by job searchers either dropping out of or never entering the labor force. This convolutes the data. The EPI noted that if the people who had dropped out of the labor force were included whether they were looking for employment or not, the unemployment rate would have been above 10 percent in 2013. The unemployment rate decreases when job searchers find employment or when they give up and leave the labor market. This is why it's important to judge by job opportunity growth as well. Job growth is the real factor that drags down the unemployment rate. Unfortunately, job growth has not been rapid enough to make up for the lost opportunities from the recession, according to the latest business trends. In 2011, 175,000 jobs were added per month on average, according to the EPI. In 2012, it shot up to 183,000 jobs per month. According to CNN, 2013 averaged around 200,000 jobs per month, despite an exceptionally weak December, and 2014 was actually the best year for job gains since 1999, averaging around 224,000 jobs per month. So far in 2015, job growth has been spotty. February was an exceptional month for job growth, adding 295,000 jobs, according to The Washington Post. Meanwhile, March was lackluster, adding just 126,000 jobs, according to the BLS. Nonetheless, that growth still hasn't made up for the void of jobs lost during the recession. The EPI noted that the economy would have to add 200,000 jobs per month on average until 2019 to regain pre-recession labor market conditions.